Donald Trump assured Americans Thursday that he is not acting in covert concert with Russian President Vladimir Putin. "I have nothing to do with Russia," he said during his news conference, insisting, "The whole Russian thing, that's a ruse.". 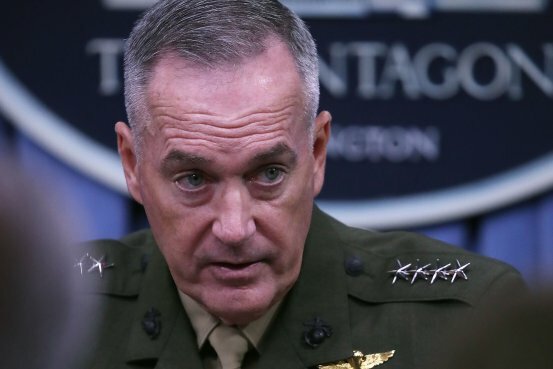 The U.S. military’s top uniformed officer plans to meet this week with his Russian counterpart, the Pentagon said Wednesday, marking the highest-level military meeting between Washington and Moscow in years. 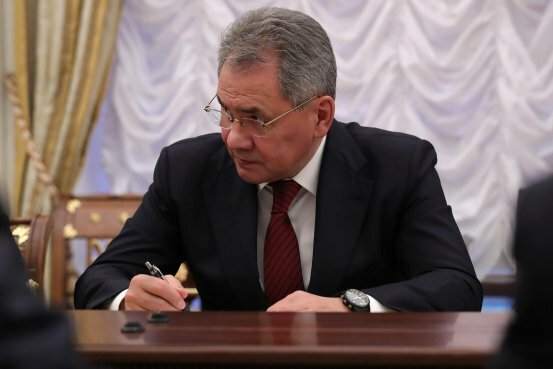 Russian Defense Minister Sergei Shoigu warned against U.S. efforts to deal with Russia “from a position of strength” ahead of a key meeting between top U.S. and Russian military commanders. Any deal making it worthwhile for Moscow to upend its deepening ties with Iran would be exceedingly hard for President Donald Trump to deliver, writes Yaroslav Trofimov. 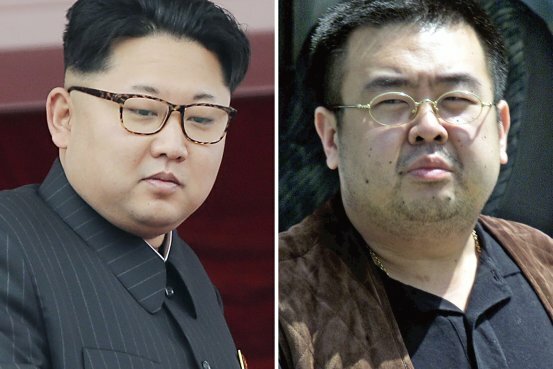 North Korean leader Kim Jong Un’s slain brother Kim Jong Nam had appeared unlikely to seize power, but his views and ties fed conspiracy theories. The coup was planned for election day. Wearing fake police uniforms and armed with assault rifles, more than a dozen Kremlin-linked plotters were allegedly preparing to storm the parliament of the tiny Balkan nation of Montenegro and assassinate its Prime Minister. Their goal, according to the government’s investigators, was to stop the country of 620,000 from joining NATO, which would give the U.S.-led alliance control of nearly every northern Mediterranean port from Gibraltar to the Bosporus. On a tip from an informant, real Montenegrin police rounded up the plotters as polls opened for the vote in October. Two ringleaders, both suspected agents of the Russian intelligence services, are now back in Russia. The aborted coup was a reminder that a new battle for Europe has begun. From the Baltics to the Balkans and the Black Sea to Great Britain, Vladimir Putin is seeking to rebuild Russia’s empire more than 25 years after the fall of the Soviet Union. From Jan. 29 to Feb. 3, Russian-backed forces launched thousands of strikes in renewed attacks on pro-European government positions deep inside Ukraine. Using propaganda, agents provocateurs and overt military threats in Estonia, Serbia, Moldova and other East European countries, Putin is attempting to undermine the democratic governments of former communist countries, threatening the security of millions of people. Farther west, he is pursuing alliances with nationalist, anti-E.U. forces in France, Germany, Hungary and other major democracies. Donald Trump has publicly annunciated parts of such a grand bargain, as have top advisers Steve Bannon and National Security Adviser Michael Flynn, who was forced to resign on Feb. 13 for his back-channel conversations with a Russian diplomat. The White House officials who have advocated such a deal in whole or part see nationalism as the basis for all-important fights against Islamic extremism and China’s rise. Flynn’s ouster makes it politically more difficult for those who would like to advance a pro-Moscow strategy. They were further set back on Feb. 14, when the New York Times reported that Trump’s aides had repeated contacts with senior Russian intelligence officials in the year before the U.S. presidential election. As multiple law-enforcement, intelligence and congressional investigations advance, the room for rapprochement with Russia is shrinking, but within the White House, that has not quelled the appetite for a deal. Those who have spoken with Trump about a grand bargain with Russia say it appeals to the businessman in him. “The President really desires to do deals, and he wants to be seen as someone who’s able to change the way the U.S. approaches the world,” says Senator Bob Corker of Tennessee, the Republican head of the Senate Foreign Relations Committee, who argued against big deals with Russia in detailed conversations with Trump on Nov. 29 in New York City, when he was being interviewed for Secretary of State. “But doing deals for deals’ sake without knowing what direction [they take us], that could be hugely harmful to our nation and to the rest of the Western world,” Corker says. It is unclear if the grand bargain was originally an American notion or one floated by Moscow. Critics wonder what benefit such a trade could have for Washington. Russia, they argue, is weak. Its economy has been in recession for two years and is smaller than that of Italy. Moscow’s only aircraft carrier, a Soviet-era diesel clunker, barely coughed its way back and forth to Syria over the past six months, losing two planes to accidents along the way. 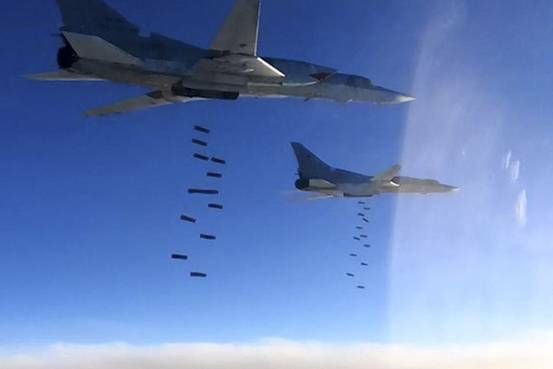 Russia has been begging the U.S. to form an anti-ISIS alliance, no strings attached, and Putin has already expressed a desire, in his first post-Inauguration phone call with Trump, to pursue renewed arms-control measures. Ceding Eastern Europe to Moscow–something that has been close to heretical in Western diplomacy since Yalta–in exchange for freebies “would be both stupid and immoral and would reverse every fundamental tenet of American foreign policy since World War II,” says Eliot Cohen of Johns Hopkins University, one of America’s foremost conservative foreign policy experts. Montenegro, a nation with fewer inhabitants than San Francisco and a military of only about 2,000 members, has been conquered by one great power after another for most of its history, from ancient Rome to the Third Reich. After 10 years of talks and trial runs, the country is now on the cusp of joining the world’s most powerful military alliance‚ this time voluntarily. Its leaders signed accession documents with NATO in May, and 24 of the alliance’s 28 members have already ratified its membership. Only Spain, Canada, the Netherlands and the U.S. are left. Trump has Montenegrins worrying whether they’ll make it. “If Putin asks Trump not to admit Montenegro and really gives him something in return, we don’t know what will happen,” says Nebojsa Medojevic, a Montenegrin lawmaker who backs NATO membership. Trump has yet to say whether he supports the country’s accession to the alliance. It is Montenegro’s warm, deep-water port in the Mediterranean that makes it especially valuable to Putin, and he is known to push hard when he thinks his strategic interests are at stake. With its assault against Crimea in 2014, the Kremlin undertook the first territorial land grab by a major power in Europe since World War II. Russian special forces disguised as local self-defense units took control of the Crimean parliament in the course of one day that year. They installed a loyal Prime Minister, Sergei Aksyonov, who set the stage for Russia to annex the peninsula outright. Some of those same commandos, who became known as the “little green men,” then appeared in Ukraine’s eastern regions. As the West moved to isolate Russia with sanctions harsher than those imposed against the Soviets during the Cold War, the Russian gunmen continued seizing government buildings around the cities of Donetsk and Luhansk and installing warlords to rule them. The result has been a separatist conflict that has so far killed more than 10,000 people and displaced more than 2 million. Dozens died during the latest flare-up in fighting, which began after Putin and Trump had their first post-Inauguration phone call on Jan. 28. Putin has tested the West before, in Estonia, one of the five NATO members that directly border Russia. In September 2014, a group of Russian troops allegedly stormed across that border with the help of smoke grenades and radio jammers, kidnapped an Estonian security officer and took him back to Moscow to stand trial for espionage. The raid, which came two days after President Obama visited the country, was intended to show that “Russia does what it wants in this part of the world,” Urmas Reinsalu, an Estonian lawmaker and former Minister of Defense, told the newspaper Postimees at the time. Such provocations, along with persistent Russian cyberattacks and violations of NATO airspace, have forced the alliance to confront its own weakness in dealing with Moscow’s new approach to warfare. Under Article 5 of NATO’s founding treaty, all of its members are obliged to defend one another in case of an attack. But what constitutes an attack is not so clearly defined. Could a cyberattack require a NATO response? And what if the attackers were disguised to look like local paramilitaries? Within a week of Trump’s victory, elections in two of Moscow’s former satellite states brought pro-Russian leaders to power. In Bulgaria, a member of NATO and the E.U., a retired air force commander and political novice named Rumen Radev was elected President on a promise to balance out his country’s alliances with the West. Speaking to reporters on election day, Nov. 13, he said he took comfort in Trump’s pledge to “work for a better dialogue” with Russia. “That gives us hope, a big hope,” Radev said. Much the same message came that day from the newly elected President of Moldova, Igor Dodon, whose campaign urged the country to tear up its integration deal with the E.U. “We gained nothing from this agreement,” Dodon told a smiling Putin when they appeared in the Kremlin on Jan. 17. Western Europe hasn’t been immune to the trend. In France, the leaders of the National Front, a party that wants to see the E.U. break apart, received a €11 million loan from a Kremlin-linked bank in 2014. The party’s leader, Marine Le Pen, pledged in early February that she would pull France out of NATO if she wins the presidential election this spring. She is leading in the polls. Next door in Germany, the intelligence agencies in Berlin have accused Moscow of orchestrating a “propaganda and disinformation” campaign ahead of Germany’s federal elections in September. Its aim, says Stephan Mayer of the intelligence committee in the German Parliament, is to weaken Chancellor Angela Merkel’s chances of re-election to a fourth term while funneling support to Alternative for Germany, a party of right-wing populists who have called for Berlin to lift its sanctions against Russia. “If you want to have freedom in the Western world, if you want to have freedom and peace in Europe, then you can do it only with Russia,” says Georg Pazderski, the party’s leader in Berlin. The question is whether Trump will join that parade. At first, all indications pointed in that direction. In July, he suggested that Putin’s annexation of Crimea could have been legitimate and that he would consider lifting sanctions “if Russia would help us get rid of ISIS.” He has said the two sides might work together on nuclear issues. After the election, in January, Trump kept up the talk. The U.S. and Russia “will, perhaps, work together to solve some of the many great and pressing problems and issues of the World!” he tweeted. Upon taking office, Trump initially continued his soft rhetorical line. In his hour-long phone call with Putin on Jan. 28, they discussed possible areas of cooperation, including the fight against ISIS and other Islamic terrorist organizations, nuclear proliferation and potential economic and energy deals, according to a senior White House official who listened in on the call. Similarly, the White House readout of calls between Trump and Ukrainian President Petro Poroshenko and NATO Secretary-General Jens Stoltenberg referred to fighting along Ukraine’s border; in fact, Russian-backed forces operate deep within Ukraine, and to the eyes of some experts on Russia in the Administration, the language raised flags that the U.S. might accept Russia’s territorial grab. Trump is open to wide-ranging concessions to Russia in exchange for cooperation in some of these areas, the senior White House official says. Trump is not about to walk away from NATO, the official says, but believes the amounts that countries pay to support the alliance, which are based on decades-old economic percentages, may be outdated. “Let’s renegotiate the deal,” Trump has suggested, the senior official says. Trump has also told advisers he thinks that “maybe NATO should have a different mission and should focus on radical Islam,” the official says. That alone would be a huge win for Moscow. Normally, a President might request and receive a full-blown national-security briefing on a question as important as the future of Eastern Europe or a reset with Russia. Several National Security Council meetings on the topic might be needed, and a top-secret intelligence assessment might be produced. But multiple sources tell TIME there is hardly an interagency process in the improvisational Trump White House. And what does exist is disconnected from the power structure around Trump. Bannon is running his own strategic-initiatives group, unconnected to the traditional national-security structures, according to two sources familiar with it, which will generate its own assessment of Russia-policy options. In the meantime, Trump’s thinking remains notional, the senior official says. But others in the Administration and outside analysts say concessions to Russia could include reducing or removing the U.S. anti-ballistic-missile footprint in Central and Eastern Europe, easing sanctions imposed for election meddling or the invasion of Ukraine, or softening language on the Crimean annexation. Trump has not yet considered the specifics of any deal with Russia, the senior official says. Trump faces his biggest opposition on Capitol Hill. Senators John McCain and Lindsey Graham have led a vocal and robust challenge to any rapprochement with Putin that would ease sanctions and instead want to impose even tougher penalties for Russia’s election meddling in the U.S. Senate majority leader Mitch McConnell says he opposes lifting sanctions against Putin. The split among Trump, his Cabinet and much of his party has led to confusion about where the U.S. stands, even within his Administration. After pro-Putin forces in Ukraine launched their attacks in late January and early February, Trump’s U.N. ambassador, Nikki Haley, gave a toughly worded statement. “Crimea is a part of Ukraine,” Haley said at the U.N. on Feb. 2, and “our Crimea-related sanctions will remain in place until Russia returns control over the peninsula to Ukraine.” White House spokesman Sean Spicer reiterated those views in a briefing days later. But several senior Administration officials say that they don’t believe Haley was speaking for the President and that Flynn was unhappy with the statement. Trump’s willful effort to ignore Russia’s meddling in the U.S. election, or anywhere else for that matter, only muddies matters further. The senior White House official says Trump’s opinion of Putin and the possibility of doing a deal with him are not affected by the fact that the Russian leader interfered in the core exercise of American democracy. “People could say we have meddled with other people’s elections too,” the official says. Trump is not aware of Putin’s other efforts to subvert democracy in much of Europe, the official says. For Montenegrins, their future hangs in the balance. A vote on the country’s accession is stalled in the Senate. The White House has no plans to endorse Montenegro’s membership in NATO at this time, a senior NSC official says. This appears in the February 27, 2017 issue of TIME. BERLIN (AP) — Top world leaders, diplomats and defense officials are getting their first opportunity to meet with members of the Trump administration amid concerns over the new president’s commitment to NATO and posture toward Russia. Vice President Mike Pence, Defense Secretary Jim Mattis and Homeland Security Secretary John Kelly are leading the U.S. delegation to the Munich Security Conference opening Friday. The annual weekend gathering is known for providing an open and informal platform for allies — and adversaries — to meet in close quarters. Chancellor Angela Merkel, U.N. Secretary-General Antonio Guterres, European Council President Donald Tusk and NATO Secretary General Jens Stoltenberg are among the group of more than 30 heads of state and government, 80 foreign and defense ministers and other officials expected to attend. Trump set off alarm bells last month by calling NATO “obsolete,” though has subsequently told European leaders he agrees on the “fundamental importance” of the military alliance. He has emphasized the need for all members to pay a fair share for defense, an issue that NATO leaders themselves have pushed for years. However, Mattis also told fellow NATO members they need to increase their military spending by year’s end or risk seeing the U.S. curtail its defense support. Other stances — Trump’s support for Britain’s decision to leave the EU, his perceived closeness to Russia and inaugural pledge to put “America first” — also have raised “an unbelievable number of question marks,” conference organizer Wolfgang Ischinger, a former German ambassador to the U.S., said. Ischinger said expectations that Pence would speak at the conference on Saturday were extremely high. Participants have told him they are seeking clarity on the administration’s stance on its relationship with Russia, NATO, the EU, free trade, human rights, the Iran nuclear agreement, relations with China and the Syria conflict. “We’re all hoping the American vice president will give a statement on … all of these questions that we in the past weeks have wondered: ‘What does America under Trump really want? '” he said. Merkel, whose views on many of the main issues differ significantly from those expressed by Trump, plans to address the conference on Saturday. Others expected to be on hand include Russian Foreign Minister Sergey Lavrov, Chinese Foreign Minister Wang Yi, Iranian Foreign Minister Mohammad Javad Zarif, Iraqi Prime Minister Haider Al-Abadi and Afghan President Ashraf Ghani. On the sidelines, representatives from Germany, Russia, Ukraine and France are supposed to hold a meeting of the so-called “Normandy group” to talk about the ongoing conflict in eastern Ukraine. South Korea’s Foreign Minister Yun Byung-se told reporters he plans to emphasize the “gravity and urgency” of North Korea’s nuclear program at the meeting. The allegation from the U.S. this week that Russia violated an arms control treaty with the deployment of a cruise missile also seems certain to be on the agenda. U.S. Sen. John McCain, an outspoken critic of Trump’s Russia policies, is among more than a dozen American representatives expected to attend as part of a U.S. congressional delegation. Watch the full 77-minute session, in which Donald Trump says he wants to update the people on the ‘incredible progress’ made in the past four weeks. The president turns fire on the media, calling the industry dishonest and ‘out of control’. He dismisses reports of chaos and conspiracy in his administration and claims his team is running like a ‘fine-tuned machine’. Fox News host Shepard Smith slammed President Donald Trump on Thursday for "repeating ridiculous throwaway lines" when asked about his administration's connections to Russia. "It's crazy what we're watching every day. It's absolutely crazy," Smith said. MOSCOW (Reuters) - The Kremlin said on Thursday political turbulence in the United States was delaying the resumption of better relations between Washington and Moscow, which are needed to tackle global problems. The report depicts Russian interference as unprecedented in scale, saying that Moscow’s role represented “a significant escalation in directness, level of activity, and scope of effort” beyond previous election-related espionage. The campaign initially sought to undermine public faith in the U.S. democratic process, “denigrate” Democratic presidential candidate Hillary Clinton and damage her expected presidency. But in time, Russia “developed a clear preference for President-elect Trump” and repeatedly sought to artificially boost his election chances. The report released to the public is an abbreviated version of a highly classified multiagency assessment requested by President Obama. Even so, it amounts to an extraordinary postmortem of a Russian assault on a pillar of American democracy. The 14-page document made public also serves as an explicit rebuttal to Trump’s repeated assertions that U.S. spy agencies cannot determine who was responsible for a hacking operation that extracted thousands of emails from Democratic Party computer networks and dumped them into public view via the WikiLeaks website. In the report, the CIA, FBI and Office of the Director of National Intelligence concluded with “high confidence” that Russian intelligence services penetrated numerous computer systems tied to U.S. political parties and then “relayed” the email troves to WikiLeaks. Trump emerged from a briefing by the nation’s top intelligence officials on the contents of the report acknowledging at least the possibility that Russia was behind election-related hacks. But he offered no indication that he was prepared to accept their conclusions that Moscow sought to help him win. The report did not address that issue. It was presented to Trump by officials including Director of National Intelligence James R. Clapper Jr., CIA Director John Brennan and FBI Director James B. Comey. Obama commissioned the report shortly after the Nov. 8 election, and recently ordered a series of retaliatory measures including new economic sanctions, the expulsion of dozens of suspected Russian intelligence operatives from the United States and the closure of two Russian-owned compounds in the country. Moscow did so in part because it “developed a clear preference for President-elect Trump,” who as a candidate repeatedly praised Putin and advocated policies in Syria and Europe strongly favored by the Kremlin. But the report also attributed Russia’s efforts to Putin’s hostility toward Clinton, a former senator and secretary of state whom he blamed for inciting mass protests against his government in 2011 and 2012. Overall, the report describes a multipronged campaign that involved not only hacking, but overt propaganda on Russian-controlled news platforms and the extensive use of social media and even “trolls” to amplify voter discord in the United States and encourage opposition to Clinton. Despite those exertions, Russia appears to have concluded that a Clinton victory was inevitable right up until election night. As a result, Moscow focused on finding ways to undercut Clinton’s legitimacy if she won. One of the more colorful notes in the report describes how “pro-Kremlin bloggers had prepared a Twitter campaign, #DemocracyRIP, on election night,” then had to shelve it when Trump won. The document traces interference efforts that began with inconspicuous probes of U.S. electoral systems in early 2014, carried through the election, and may still be underway. Russian intelligence agencies first gained access to Democratic National Committee networks in July 2015, the report says. Russia’s miliary intelligence service, known as the GRU, “probably” expanded its efforts in March 2016, going after the email accounts of Democratic Party officials and other political figures. By May, the GRU had stolen what the report describes as “large volumes of data from the DNC.” In the ensuing months, chunks of that trove began to appear on websites including WikiLeaks, generating a steady stream of headlines that embarrassed Democrats and kept voter attention on Clinton’s email controversy. The intelligence assessment also drew the most direct line to date between Putin’s desire to aid Trump’s campaign and Russia’s policies and objectives in Syria and Ukraine. In both cases, it said, Putin “indicated a preference for President-elect Trump’s stated policy to work with Russia, and pro-Kremlin figures spoke highly about what they saw as his Russia-friendly positions” in those two countries. Putin is also eager for relief from economic sanctions imposed on Russia for its support of separatist forces in Ukraine and its annexation of Crimea. As recently as this week, Trump appeared to be siding with WikiLeaks founder Julian Assange — who has denied that his website got purloined emails from Russia — over the determinations of the CIA and FBI. The document said that “Guccifer 2.0,” the online identity of a hacker purportedly involved in the campaign, “made multiple contradictory statements and false claims about his likely Russian identity throughout the election.” It was the document’s clearest indication that U.S. spy agencies believe they have identified him. In some ways, Russia’s intervention in the 2016 election is consistent with a long-standing pattern that traces back to the Soviet Union of espionage against prominent politicians and policymakers in the United States. U.S. spy agencies also devote significant resources to gathering intelligence on Putin and his subordinates. The report suggests that beyond his animosity toward Clinton, Putin may also have been driven by his own conviction that Moscow has been repeatedly targeted with embarrassing leaks that he attributes to the United States, including the Panama Papers files that showed how wealthy individuals close to the Kremlin had hidden their fortunes, as well as material that helped expose the doping scandal among Russia’s Olympic athletes. Putin’s success in using cyber capabilities and propaganda to disrupt a U.S. presidential race is likely to embolden him to mount similar operations against the United States and its allies in the future. “We assess Russian intelligence services will continue to develop capabilities to provide Putin with options to use against the United States,” the report said. For photos of Trump since the election, go to wapo.st/trumpgallery. President Trump has transformed the Republican Party's long-standing opposition to abortion from a moral imperative into a political winner. Hal Boyd: Is Donald Trump making America moral again? In the days before his election, Trump the candidate touted a damaging -- and false -- leak reported and subsequently retracted by Fox News.